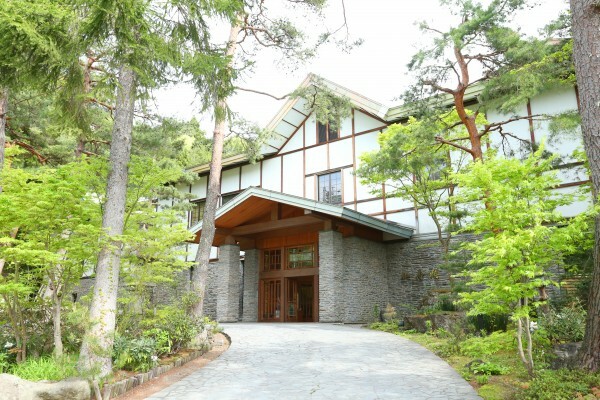 Senjukaku is celebrating their 90th year and has decided to provide an extra service to those coming to stay at the ryokan. 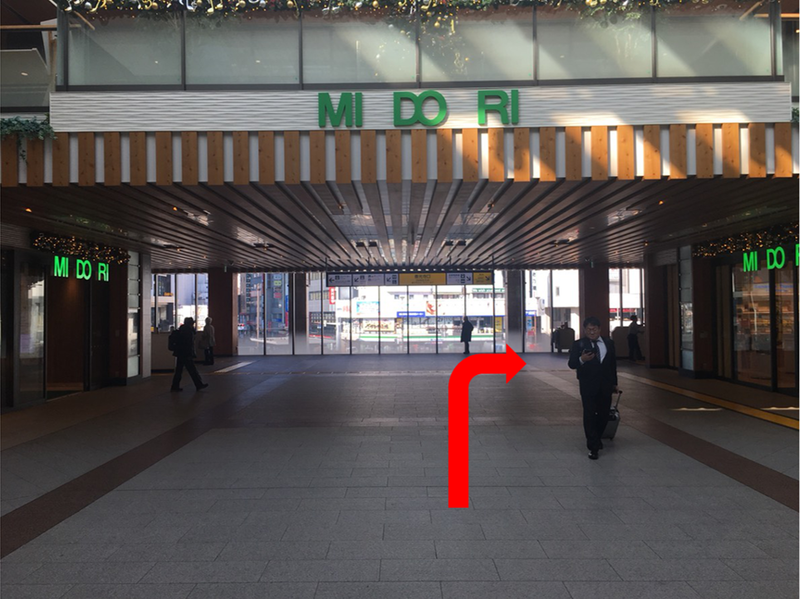 In order to get to Senjukaku, you’ll have to travel from JR Nagano Station to Yudanaka by public transportation, and from there Senjukaku’s shuttle bus will take you to the ryokan. To make the travel between Nagano and Yudanaka as convenient and economical as possible, the ryokan offers a package plan with 1 night accommodation combined with a Snow Monkey Transportation Pass for a limited period of time (Dec 1st 2018 to March 31st 2019). *This package is sold at the ryokan’s Booking.com page. The booking of this plan must be reserved 7 days in advance. 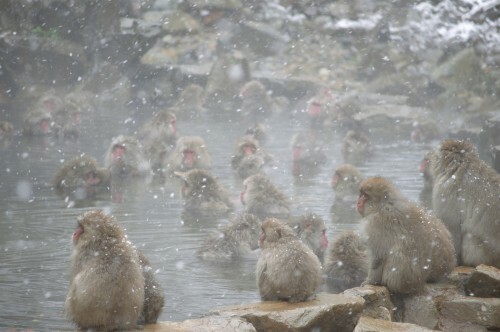 What is the Snow Monkey Transportation Pass? 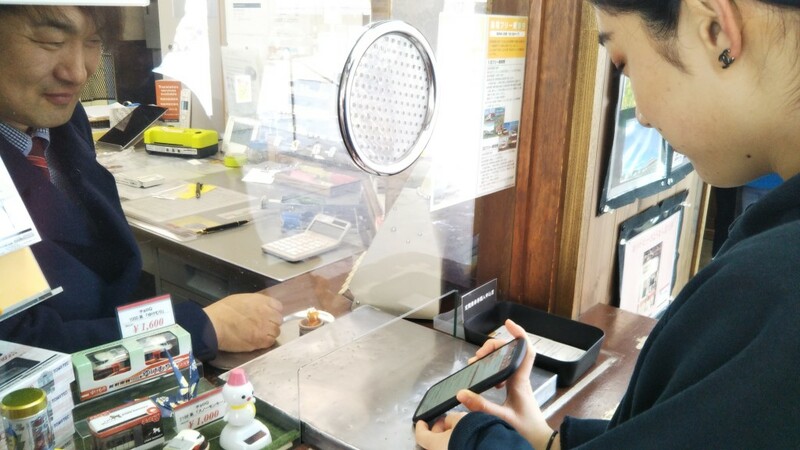 This convenient Snow Monkey Pass allows you travel for 2 days on all Nagano Dentetsu buses and trains running between Nagano Station, Yudanaka, and the Snow Monkey Park bus stop, with a Snow Monkey Park ticket (1-time entree) included. The pass can be used not only for travelling to Senjukaku and Snow Monkey Park, but also usable if you want to get off at any sights between Nagano Station and Snow Monkey Park, be it Obuse (a historic town between Nagano and Yudanaka), Gondo (the closest station to Zenko-ji Temple), or Shibu Onsen (a traditional onsen village nearby Senjukaku). Take a look at Senjukaku’s booking page for a package deal for accommodation with the Snow Monkey Pass. 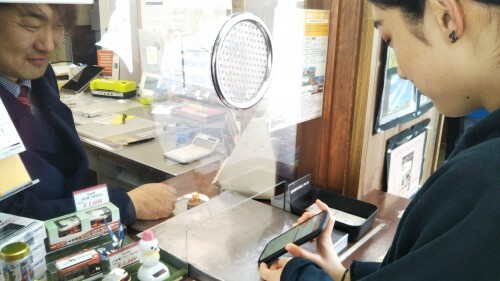 Upon receiving your reservation, Senjukaku will send a confirmation email with your Snow Monkey Pass order written on it to your booking medium. 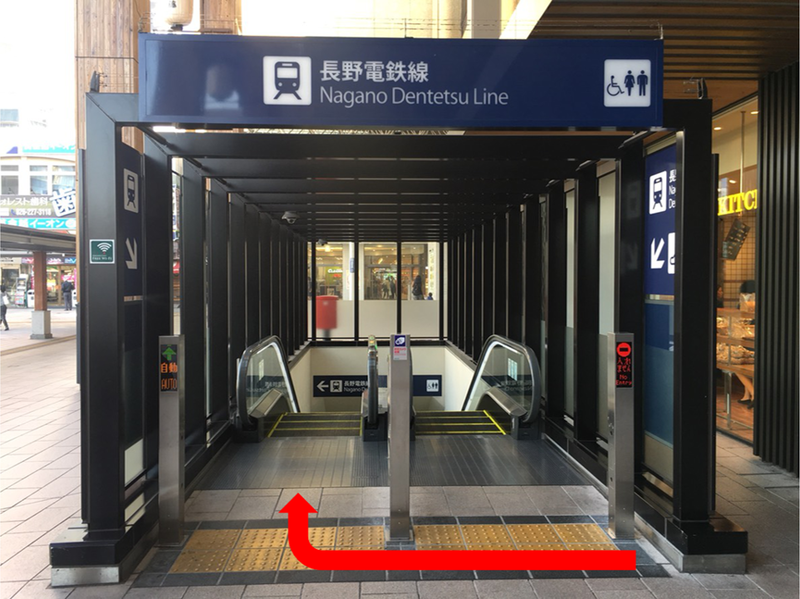 Bring an electronic or printed version of this confirmation to the Nagano Dentetsu Ticket Office at Nagano Station and they will give you your pass. *The pass cannot be cancelled or refunded after written confirmation has been received. 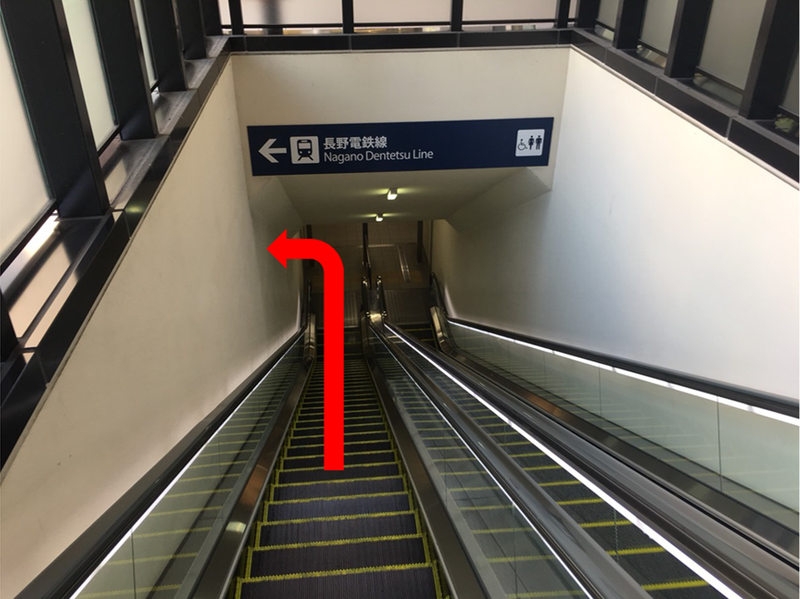 ① At JR Nagano Station, take the Zenko-ji Exit and go down via escalator. 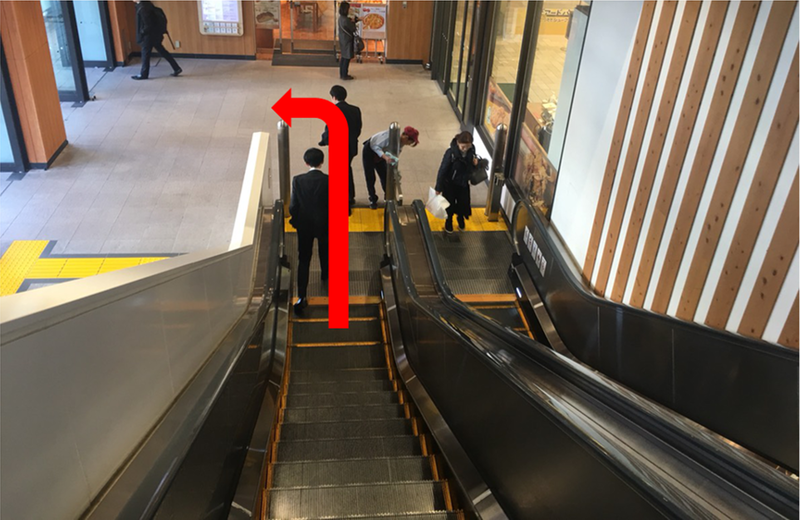 ② Go down the escalator of Nagano Dentetsu and take a left turn at the bottom. 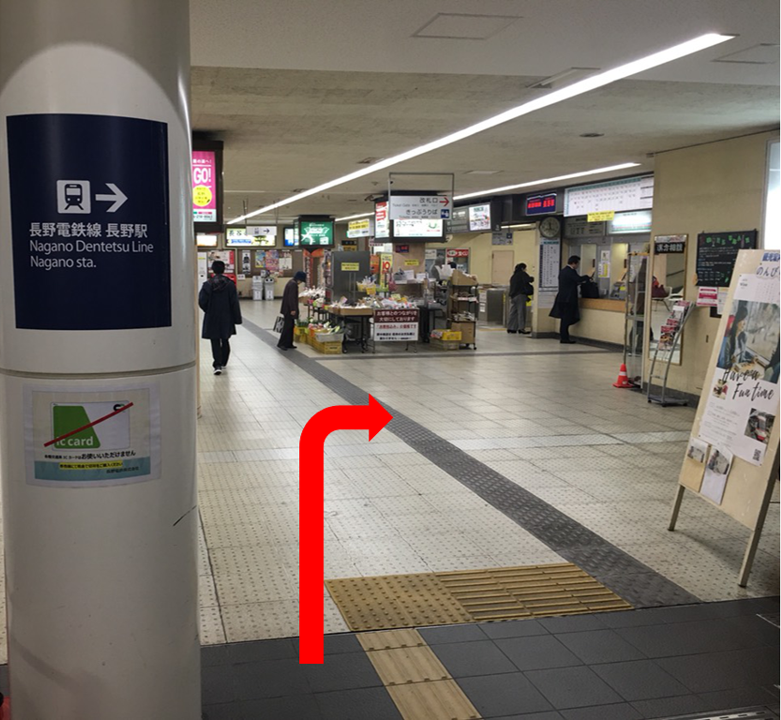 ③ Make your way to the ticket office of the Nagano Dentetsu, next to the ticket machines. 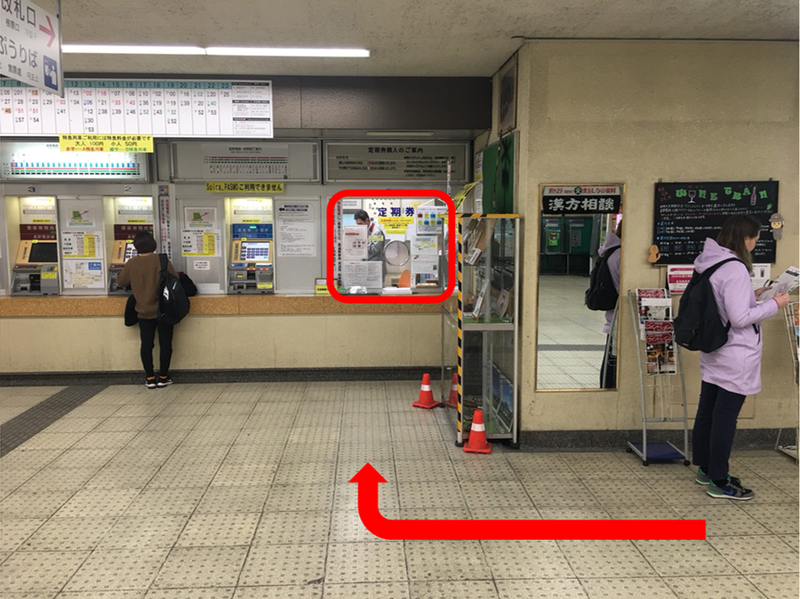 ④ Show the Nagaden staff your electronic or printed voucher and get an unlimited train/bus ride to Senjukaku and other destinations! We hope this information will make your trip to the Snow Monkey Park and Hotel Senjukaku even more enjoyable!